2-3 minutes from Mutchilba with 2 road frontage is this 51.1 ha farm ready for you to purchase and take advantage of forcoming crop. 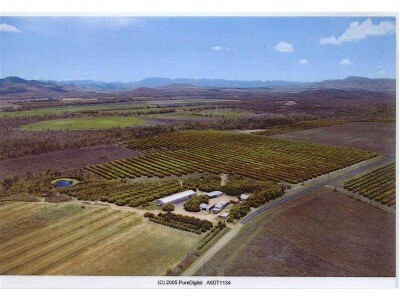 3500 trees, two varieties of mangoes plus some logans on 40 acres. 3 bedroom house, workers accomodation and facilities, huge packing shed, 100 meg water allocation, plenty of grazing or grain growing land, all flat and easily accessable. Also included . Has Freehold title . Irrigation to all fruit bearing trees . Fenced suitable for livestock . First class soil for peanuts, corn, sugar cane, vegetable crops . On site dam . Farm easily accessed by bitumen sealed road "The sustainability declaration for this property is available from the Office upon request"